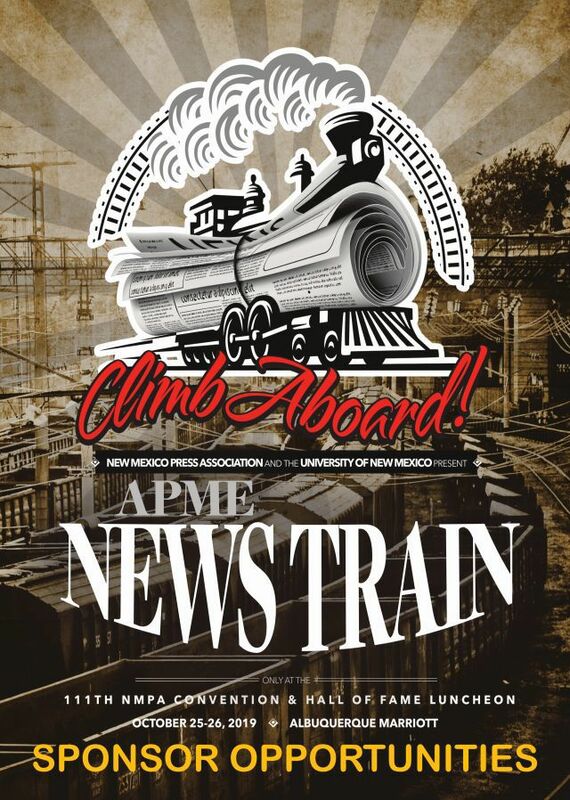 You are invited to support the newspaper industry in New Mexico with a sponsorship of the 111th Annual NMPA Convention and Hall of Fame Luncheon! This year’s version of will be held Oct. 25-26 at the Albuquerque Marriott. If you have never been to Albuquerque in October, you have truly missed out - you might even see a hot air balloon or two (hundred!). Not only will we be celebrating the best newspaper professionals in the state with our Better Newspaper Contest, but we have a full slate of workshops on both days. In fact, we expect our attendance numbers to increase as the APME will be holding a News Train session with us. Not only will you be able to interact with long-time professionals, but get to meet the next generation that will take our industry into the future. There are a number of sponsorship levels available and all come with a great package of benefits.